The Waterman Carène is a fountain pen of great class. Most of Waterman’s fountain pens are great. 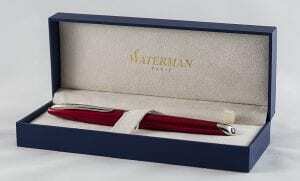 Waterman is one of the oldest fountain pen manufacturers in the world. 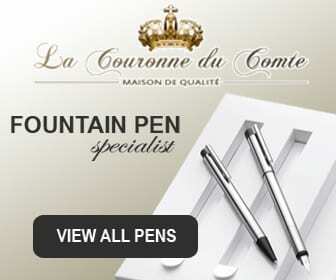 It is currently the second largest fountain pen manufacturer in the world. The company, founded in 1883 by the American Lewis Waterman (20 November 1837 – 1 May 1901), made the first practically usable fountain pen. There are various hilarious stories about this event. One of these stories is that Lewis missed a large insurance contract because of a refusing fountain pen. Lewis and his brother (who worked at the railway company) made the first fountain pen to function reasonably well and the factory was established on that basis. There is currently still a factory in France. The Saint-Herblain plant (near Nantes) has been in existence since 1967 and produces around 5 million fountain pens per year. What do I think about the Waterman Carène? Back to the Carène. In my opinion a bit too French, too artificial. I personally don’t think it is the most beautiful fountain pen there is. A little too feminine for my taste perhaps, but nevertheless it is a wonderful fountain pen. 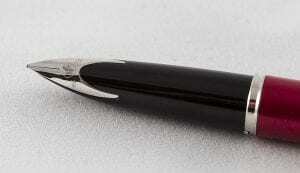 Because this fountain pen has an unprecedented quality! If you like this design, stop searching: this pen writes like a train. It has a nib that is made out of 18 carat gold. Without any hesitation, the pen does everything I want: the alphabet, all figures, upward curls and downward curls, stripes to all wind directions without any hesitation. 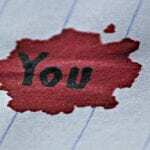 With every pen I do the same writing exercises and so far I can really say that this pen belongs to the top 5 in terms of writing pleasure. 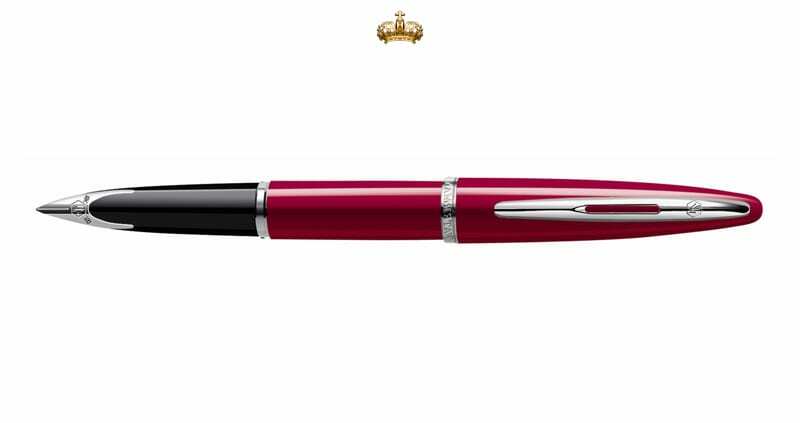 Especially for a pen in this price range it is a sensation to write with. Forget the looks, how do we judge this pen? 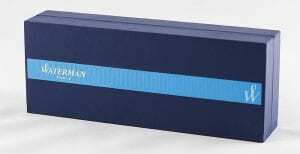 If we don’t look at the appearance of this fountain pen for a moment, because that is really a personal preference. Then this fountain pen grabs very well, the cap fits very precisely and remains tightly fixed despite the use of a clamping system. The clip is also excellent and always securely attached. In other words, everything is well done with this pen. Fortunately, there are many different versions of these fountain pen. Various colours and various metal designs are available. I am sure there is one that I will secretly like . 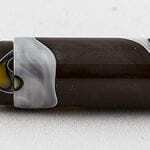 The fountain pen uses common cartridges but you can also use this fountain pen with a converter. There is also a choice of different pen tip thicknesses. At school he already wrote with a fountain pen. The most things happen digitally these days, if there is something to be written it's always with a fountain pen. He's relatively new at collecting fountain pens. Nick became a fountain pen enthousiast quite quickly. Our first ever YouTube video is a fact! Capless fountain pens, they exist!